Global travel technology company Sabre will be charging agents $10 per month for the Sabre Red Mobile Workspace starting May 1, causing some agents disappointment. The Sabre Red Mobile Workspace is an extension of the Sabre Red Workspace. By downloading the app from the Apple store, Sabre-connected agents can still integrate apps onto their platform, as well as shop, book and manage travel for their clients. The difference is that it provides mobile access to the Sabre marketplace/GDS and agents can use it on their iPad. Sabre has also created a custom keyboard that blends the different keyboards on the iPad into one (you won’t have to switch between the letters and numbers keyboards). Stacy Small, president and founder of Elite Travel International (a Los Angeles-based travel agency specializing in luxury travel), was asked by Sabre to test out the Sabre Red Mobile Workspace. At the time, Small was excited about the app, highlighting the fact that it was convenient and addressed the needs of the mobile agent. But that excitement has waned since the announcement that Sabre will be charging for the Sabre Red Mobile Workspace. In fact, Small — an avid supporter of Sabre since making it a priority to learn the company’s GDS nine years ago — said she will not be paying for the app and will discontinue using it when May 1 rolls around. The price itself doesn’t bother her; she just doesn’t feel the platform is valuable enough to warrant paying for it. Chris Kroeger, senior vice president for Sabre Travel Network, disagrees. 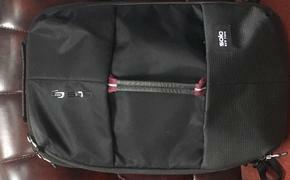 The Sabre Red Mobile Workspace has indeed been popular among users since coming out in February, receiving five out of five stars at the Apple store (albeit from a limited sample of 20 reviewers). The news comes on the back of Sabre’s announcement that it has partnered with TripAdvisor to offer the SeatGuru Red App, which agents can order through the Sabre Red App Centre and integrate into their Sabre Red Workspace. 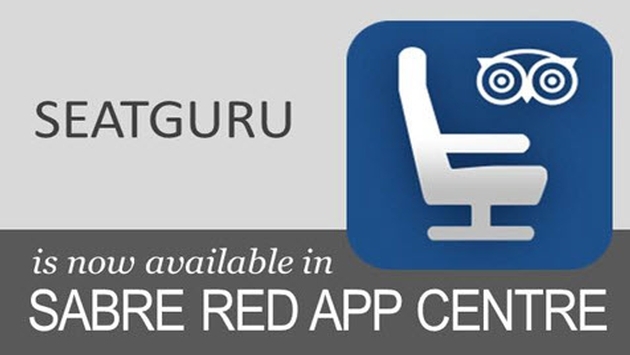 The SeatGuru Red App is similar to the original SeatGuru app in that it allows users to view seat maps on airplanes for flights, as well as access specific seat information and reviews submitted by travelers. Agents can also access information on in-flight amenities, including entertainment options, Wi-Fi access, power and USB ports and meals. Eric Hrubant of CIRE Travel, a branch of Tzell Travel Group, has been pleased with the Sabre Red Workspace platform, as well as the new SeatGuru Red App. Hrubant also liked the fact that agents are able to customize the layout on their computer screens (he has the SeatGuru Red App on the right alongside a handy calendar app). “It’s definitely beneficial, whether it’s for a seasoned agent or a newer agent learning the ropes,” Hrubant added. Sabre is a major player among travel technology companies. The Texas-based operation has 10,000 employees in 60 different countries. Its technology processed more than $100 billion in travel spending and more than 1.1 trillion system messages in 2013. And Sabre’s latest move to charge for the Sabre Red Mobile Workspace brings up bigger questions: At a time when agents are traveling more than ever, should companies be charging them to use mobile apps? What kind of message does this send? One thing’s for sure: This is a controversial topic in the travel industry right now, and it’s going to be mighty interesting to see what unfolds in the coming months.